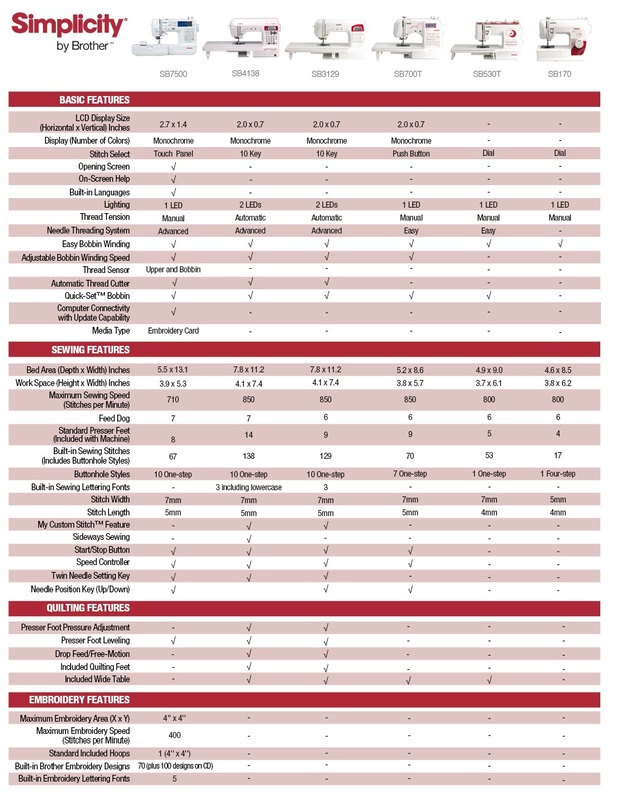 *SewingInsight.com Review "One other great feature about the sewing machines in the Simplicity line is that you get a free Simplicity pattern with the purchase of certain models. In the case of the SB 700T, a free wedding gown pattern is included in every carton. If you are not planning to make a wedding gown, you can always use the pattern to make a special occasion dress in another color." Other Included Accessories: accessory pouch with seam ripper, needle set, twin needle, cleaning brush, eyelet punch, screwdrivers (2), spool caps (3), extra spool pin, grid sheet set, power cord and operation manual. For the price I paid for this machine and the performance of the machine I am more than pleased with it. I would recommend it to any sewer. It totally meets my sewing needs at this stage of my life. 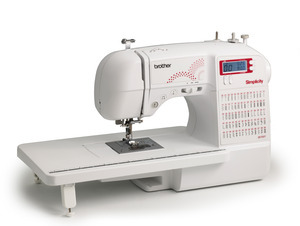 At one time I was a professional seamstress and had a "top of the line sewing machine". It recently "died" and because of it's age could not be repaired. I am so glad as I am enjoying my new one so much.